Because it's so cold here, all I want is to curl on a couch, covered with a blanket and eating pumpkin and pumpkin pie spiced foods. 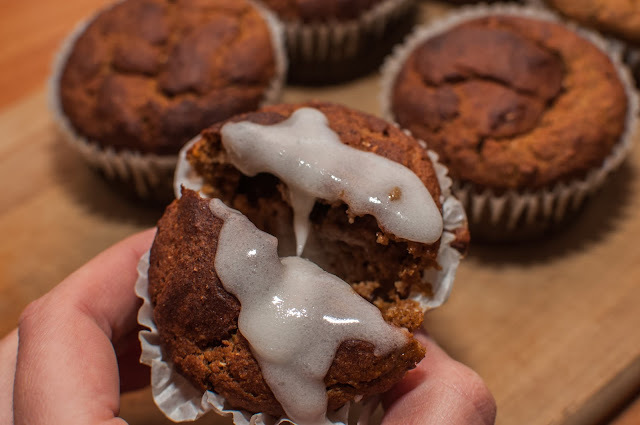 And these muffins are perfect for this! 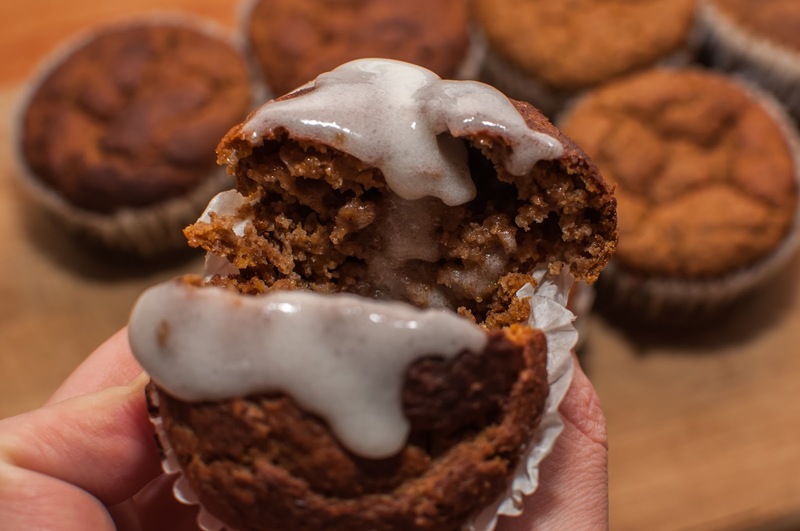 They are perfectly spiced, moist from the pumpkin, fluffy and they go really well by themselves, or with some coffee, plant milk, vegan yogurt, tea... The choice is only yours. 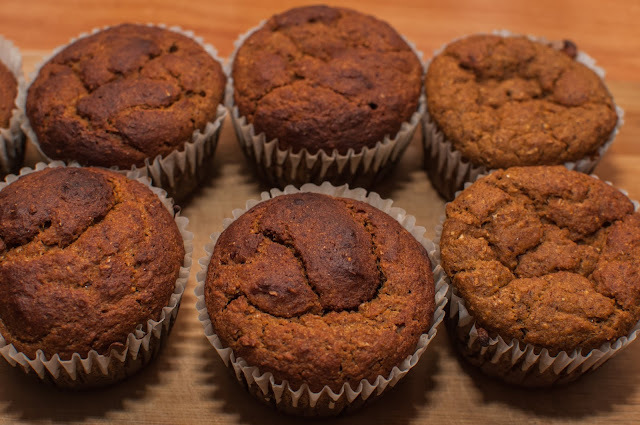 Seriously, everything pumpkin is delicious, but these muffins are not only healthy and oil free, but quite high in protein because of the whole wheat flour, chickpea flour and nut butter. So they can be eaten for breakfast as well, because they're really satiating. And 2 or 3 muffins for breakfast sound quite good for me. It's easy to make delicious vegan food, guys! Preheat your oven to medium-high heat for at least 15 minutes. In a bowl mix all your dry ingredients, then add your wet ingredients and mixeverything well. Be careful not to overmix your batter. 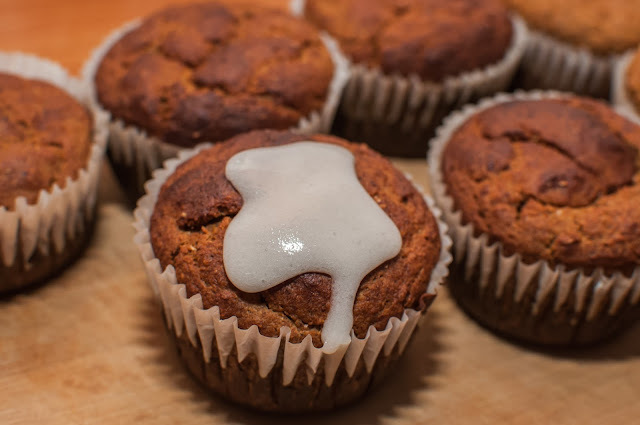 Pour your batter into your muffin pan lined with muffin liners (I use muffin liners because I don't have a silicone tray/pan) and bake them for 20-25 minutes or until a toothpick comes clean, on medium heat.